The Eagle Scout rank is the highest award available to youth members of the Boy Scouts of America. To achieve the rank of Eagle, a Scout must meet many physical and mental requirements, and he must show strong personal character and demonstrate the ideals of Scouting as listed in the Scout Oath and Scout Law. The rank of Eagle Scout is recognized well beyond the Scouts youth years and is valued in higher education, business & industry, and within the community. Being described as an Eagle Scout informs people in two short words the type of person that they can expect. 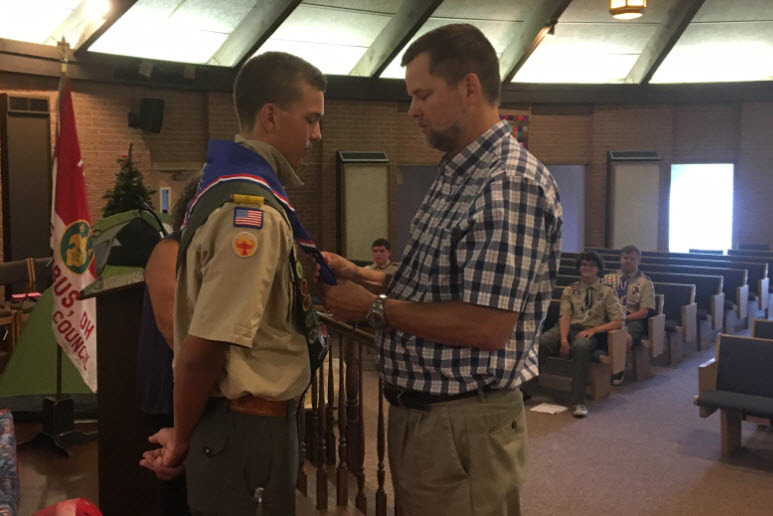 “Once an Eagle, always an Eagle” is a commonly used phrase – and we would like to recognize Troop 200’s “always an Eagle” representatives – refer to our “Troop 200 Eagle List”. Scouts should read the Road to Eagle to start their journey.